Within the last twelve months, Hotel Louisville has hosted over three hundred special events. Much of our success is found in our menu! Our food is deliciously prepared--and are prices are more than reasonable! In fact, we challenge you to find a downtown hotel that can match our low catering prices! 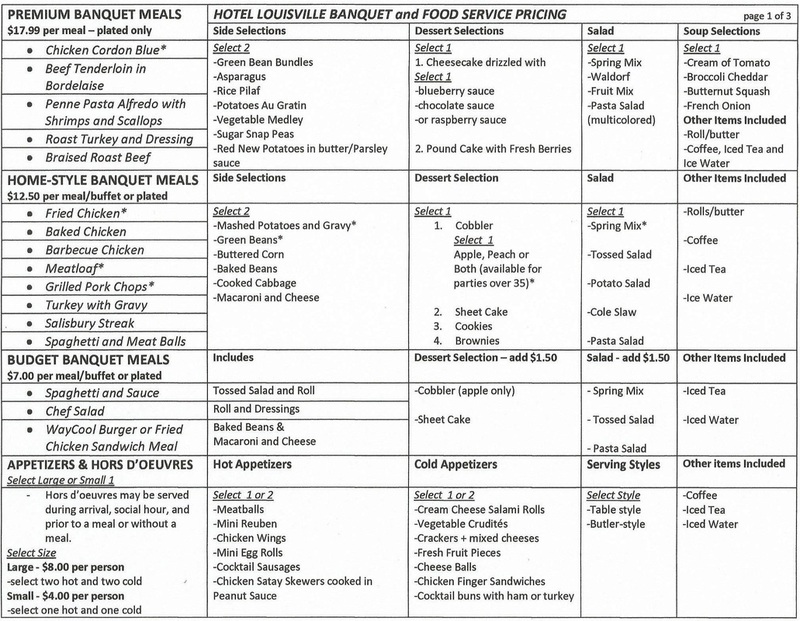 By the way, these prices include set up, linens, clean-up, and uniformed servers! We take care of everything! Hotel Louisville is truly the home of southern hospitality! To schedule an event, phone 502 345-7080.